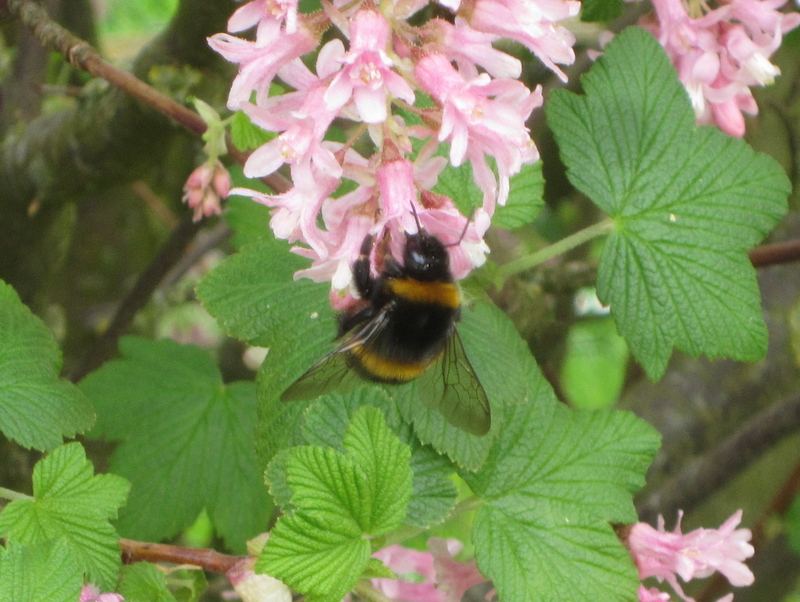 This entry was posted in Environment, Gardening and tagged bee, ribes sanguineum. Bookmark the permalink. For about two weeks every year the flowering currants are full of bees; I’m not very good at identifying them but there were at least three different species buzzing around when I took the photographs. We have lost several colonies over the past few years because badgers have destroyed their nests but generally we still have plenty of healthy bees around.